I love Tofu. It is a must for at least one meal per day or Snack. 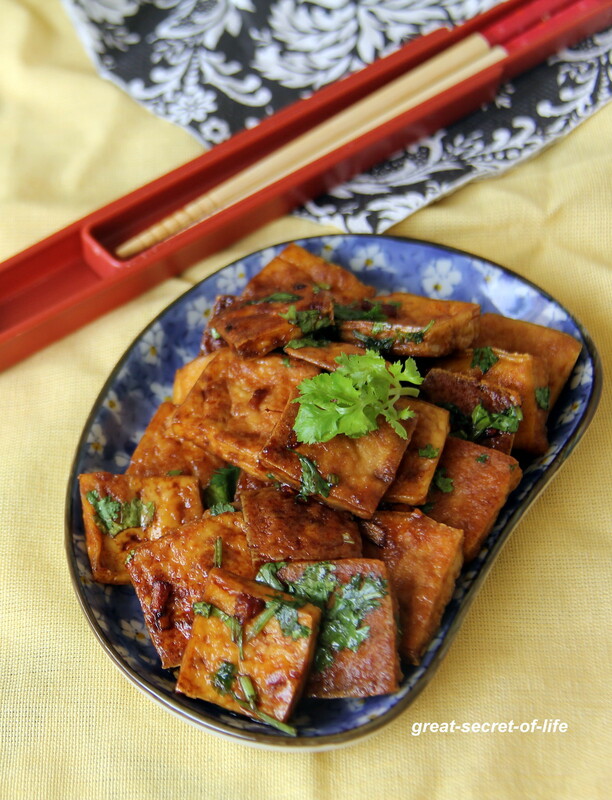 I have posted different type of tofu before. 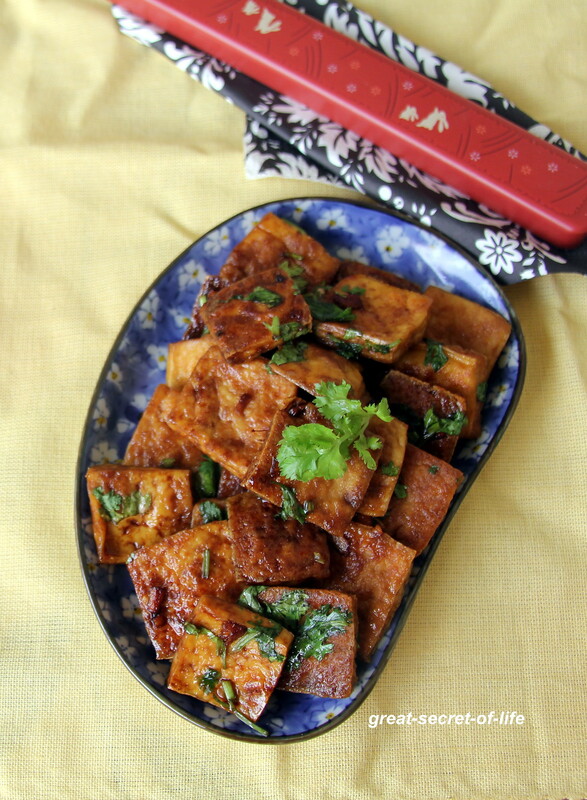 You can check out those as well (hot and sweet lime Tofu, Basil Tofu, Sweet and hot Sesame Tofu). Best part of making these is very healthy and perfect for any cuisine. This recipe is no exception. This recipe was given to me by one of my friend. It is crispy outside and soft inside. 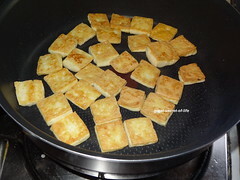 To get best results you have to dry the Tofu before frying them in the pan. Make the sauce. 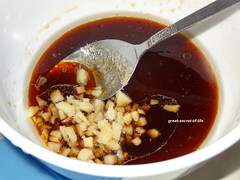 Mix in 2 teaspoon of oil, soy sauce, ginger and sugar mix well. Keep it aside. 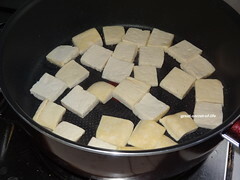 Cut the Tofu into medium size square. 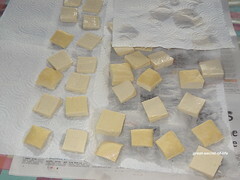 Leave them on the paper towel so extra moisture is absorbed. Once all the pieces are done bring them into one side. 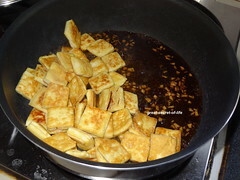 Add the sauce and quickly mix together till all the tofu pieces are coated with sauce. Switch it off and enjoy. 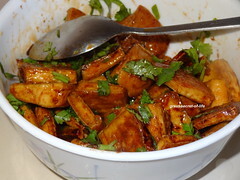 A very healthy receipe and well explained with pics. Thank you. where can we get Dark brown sugar. Wow that tofu looks really yummy. I too love tofu! This looks very delicious! 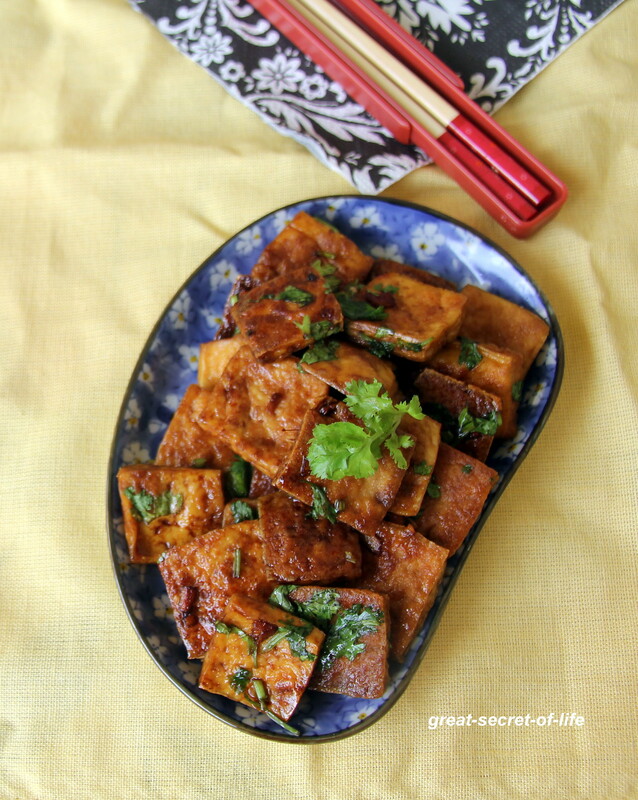 WOW..I love tofu and this so simple to make and looks so yummy..
Looks tempting... Will it be sweet? ?